John Keats, 19th century poet, described autumn as a “season of mists and mellow fruitfulness”, and no fruit encompasses the season’s bounty as well as a perfectly ripe, sweet and crisp apple. The king of fruit’s 4000 year history far pre-dates Keats, though one modern variety, the Bramley, cropped up just about the same time as Keats was penning his romantic odes and sonnets. The famously juicy Bramley is deeply rooted in the history of one county in particular; Armagh, ‘The Orchard County’, where the tradition of apple growing is still strong. Over the years though its natural partner, cider making, fell out fashion, and the region became the only apple growing area in the UK without its own cider producers. That was until 2006, when apple growers Philip and Helen Troughton set up the Armagh Cider Company on their Ballinteggart House farm, in Portadown. I visited the couple at their 180 acre farm, where orchards have been nurtured for over 100 years by the Troughton family, to find out the story behind the brand leading the way for a new wave of traditional hand-crafted ciders in Northern Ireland. At Ballinteggart House farm, the bounty of their orchards was traditionally sold to the retail trade and to large commercial cider makers, Phillip tells me. Since his father’s time however he has seen the market for apples in Ireland change beyond all recognition, and how the “aggressive purchasing strategies” of the large cider makers meant “apples were left rotting on the trees”. The Troughtons decided something had to change and revisited the long-held idea of making their own top quality, hand-crafted cider. To transform their quality apples into a great tasting cider, they enlisted the services of master cider maker, Keith Knight from Herefordshire, England. Working closely with Keith they created Carson’s, an authentic and naturally flavoursome bespoke cider, that outshone its mass-produced rivals in terms of taste and quality. Not long after introducing their first cider to the market, in January 2006, both Helen and their son Mark trained to become master cider makers themselves. “When we decided we could replicate the product, we brought it home, and from that point on everything was done here, and we make cider here ‘from blossom to bottle’,” says Philip. 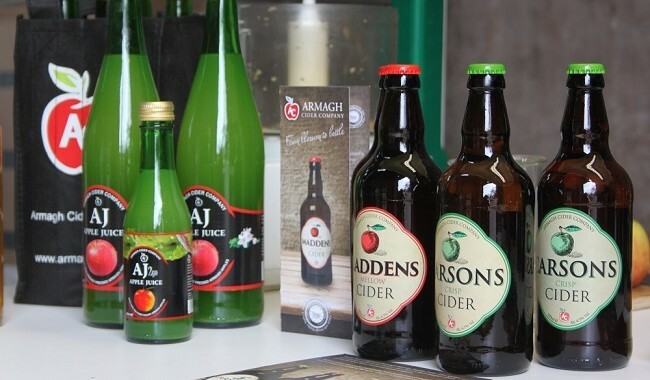 At the Armagh Cider Company the blossom is just as important as the final – preferably chilled – bottle. Bramley is still the chief apple used, with the variety achieved PGI status in 2011; putting the Armagh Bramley on the same par as Champagne and Parma ham. “We were Bramley apple growers, and we still are, but to be quite honest I have changed from an apple grower who made cider, to a cider maker who grows apple – and those two are not the same thing believe it or not, in fact they are very different,” says Philip. Seeking out the expertise of a ‘pommologist’ in Cornell University, New York, new varieties now grow alongside the classic Bramley, which Philip hopes will help perfect the blend of sweet eating apples and bitter sharp apples to create the ultimate cider. Walking me through their on-site production facility, Philip proudly shows where the process begins: the traditional rack and cloth press that extracts on average 70% of the weight of the apple in juice. He explains that while this method is more labour intensive than an automated press, it produces a superior quality juice with more texture and flavour due to the tiny bits of fruit that remain in the juice. Some of this precious juice goes on to be bottled as their pure and simple Armagh Apple Juice. The rest ferments for up to a month, transforming into cider. “Cider making is science over art, you can learn the science, the art you have to discover yourself,” Philip says. Elsewhere in the bottling plant, bottles are rinsed, filled (at a rate of a bottle every three seconds or 2000 bottles an hour), capped, pasteurised, and labelled. £700,000 has been invested in equipment to automate this process, but to ensure the labels face outwards, Philip insists the bottles are hand-packed into their tray by their 4 employees, who fill 1000 cases a day with 12,000 bottles. Like their orchards, the Armagh Cider Company range too has blossomed over the past 10 years. 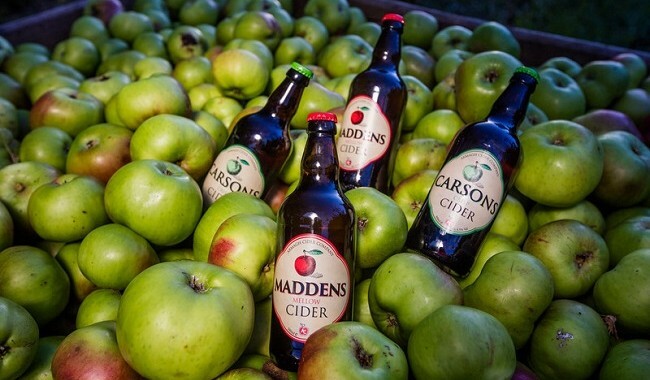 Their traditional and refreshing cider, Carson’s Crisp, was joined by Madden’s Mellow in summer 2010, ideal for those who prefer a slightly sweeter cider. “We saw a big market out there for flavoured cider,” says Helen of the latest addition to the family, Doyle’s Irish Cider. “In the Doyle’s range use actual juices so we can’t do the psychedelic colours, but we can do the flavour. This is the first time that craft cider has gone flavoured.” “Its cider with flavour, the Kobberbergs and the likes are flavours with cider,” quips Philip. For the cooks out there, the farms Apple Cider Vinegar is perfect for dressings, or adding pep to a sauce or stew, and the allure of a warm and aromatic glass of their Molloy’s Mulled Armagh Cider won them gold at Blas na hEireann in 2014. 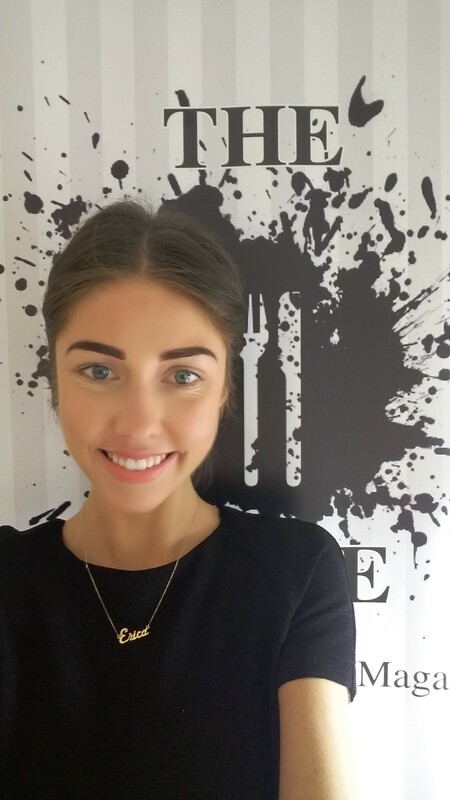 “The comment was it was the best hot beverage in Ireland other than tea and coffee,” says Helen beaming. While Helen heads up the marketing side of the business, and Philip has perfected production and apple growing, but they have help from son Mark, who manages the business, and daughter Kelly who oversees the administration. They say that apples don’t fall far from the tree, and that’s certainly the case at the Armagh Cider Company.